Are you a beer connoisseur or a simple beer lover? Then you have come to the right place. As you may or may not already know, craft beer can’t be compared to beer that is brewed on a commercial level (though there’s nothing wrong with that). If you’ve never had the chance to try some authentic craft beer, then you might want to drop by the Minhas Craft Brewery next time you’re in Wisconsin. Likewise, if you have been fortunate enough to try craft beer in the past and are interested in expanding your repertoire, you might also like to drop by the Minhas Craft Brewery… because why not? 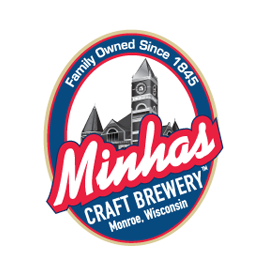 Located in Monroe, the Swiss Cheese Capital of the USA, the Minhas Craft Brewery has been operating for over a century. Yes — a century! That’s a long time, isn’t? In fact it’s one of the oldest breweries still in operation today. But not only are we renowned for our awesome (and sometimes troubled history) — we’re also renowned for our products. They appeal to people of all walks of life, amateurs and connoisseurs alike. We make premium craft beer and people love us for that. You can reach Monroe from Wisconsin’s capital, Madison easily within the span of an hour by car.